President Benjamin Harrison: Short biography of President Benjamin Harrison and the key events during his presidency. Benjamin Harrison (1833-1901), nicknamed the "Human Iceberg", was the 23rd American President and served in office from 1889-1893. The Presidency of Benjamin Harrison spanned the period in United States history that encompasses the events of the Maturation Era or the Gilded Age. It was the age of many new inventions and in 1891 electricity was installed in the White House. It was the era of the Ghost Dance Movement, the Wounded Knee Massacre and the demise of many Native American tribes. It was also the period of rapid Urbanization in America and the establishment of the Ellis Island Immigration Process. President Benjamin Harrison represented the Republican political party which influenced the domestic and foreign policies of his presidency. The major accomplishments and the famous, main events that occurred during the time that Benjamin Harrison was president included the First Pan-American Conference in 1889, the Sherman Anti-Trust Act (1890), the Sherman Silver Purchase Act (1890) and the McKinley Tariff of 1890. Benjamin Harrison died of pneumonia on March 13, 1901, aged 67. The next president was Grover Cleveland. The nickname of President Benjamin Harrison provides an insight into how the man was viewed by the American public during his presidency. The meaning of the nickname "Little Ben" refers to his small stature whilst the nickname of "Human Iceberg" refers to his stern, cold manner when communicating with people, although he managed to convey a warmer image when giving speeches. The character traits of President Benjamin Harrison can be described as reserved, intelligent, formal, aloof and diligent. It has been speculated that the Myers-Briggs personality type for Benjamin Harrison is an ISTJ (Introversion, Sensing, Thinking, Judgment). A reserved, well-regulated and serious character and a strong traditionalist. 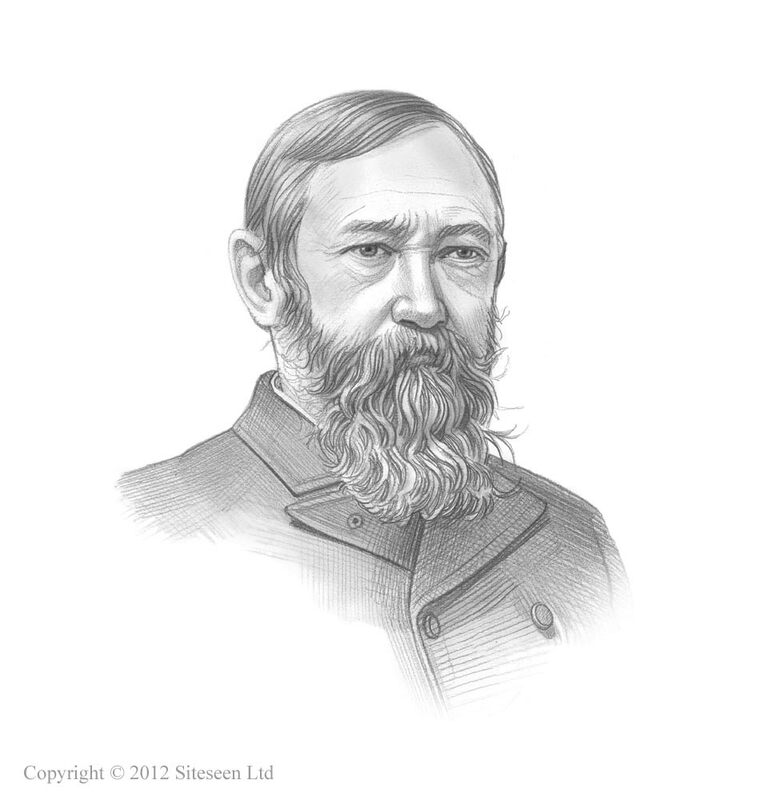 Benjamin Harrison Personality type: logical, organized, sensible, thorough and dependable. The accomplishments of Benjamin Harrison and the most famous events during his presidency are provided in an interesting, short summary format detailed below. Summary of the Billion Dollar Congress: The Billion Dollar Congress was the nickname given to the 51st Congress because it was the first to pass a billion dollar budget. The laws passed during Benjamin Harrison's term in office included the costly Dependent Pension Bill that provided benefits to Union veterans and their families. The 'Billion Dollar Congress' also approved the cost of naval expansion. Summary of the Sherman Antitrust Act: The 1890 Sherman Antitrust Act was first measure passed by Congress to prohibit monopolies in order to maintain free competition in business. Summary of the McKinley Tariff: The McKinley Tariff was a protective tariff (tax), became law on October 1, 1890 and was framed by future president William McKinley. The McKinley Tariff raised the average duty on foreign imports to almost 50% protect the nation's home-grown goods from cheaper priced foreign items. Summary of Ellis Island: The Ellis Island immigration center was opened on January 1, 1892 in Upper New York Bay as a federal immigration inspection station. Summary of the Ghost Dance Movement: The second Ghost Dance Movement emerged in 1888 led by Wovoka, of the Paiute Indian tribe. In December 1890 U.S. Army officers tried to arrest the Sioux Chief Sitting Bull who supported the Ghost Dance movement and was killed in the gun battle at the Standing Rock Reservation. Summary of the Wounded Knee Massacre: The Ghost Dance Movement effectively ended at the Wounded Knee Massacre on December 29, 1890 in which 400 men, women and children of the Lakota Sioux were massacred by the 7th Cavalry.